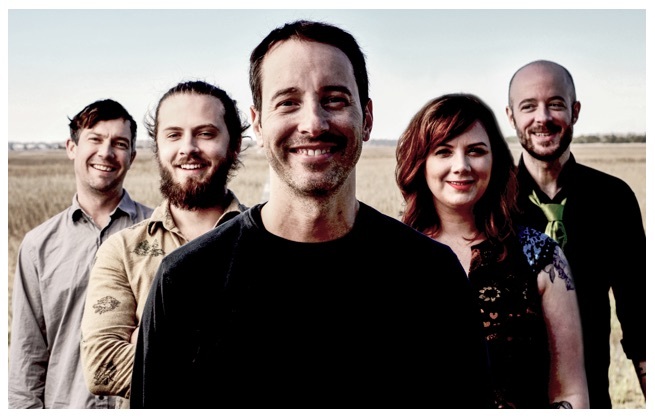 Yonder Mountain String Band continues to push the boundaries of Bluegrass while pushing their talents and success to the next level. Touring the country yet again, audiences are getting a sneak peak at their sixth and latest studio album, Black Sheep, which is set to make a national release on June 16, 2015. So far, previous stops on the group’s tour have heard “Annalee,” “Landfall” and “Black Sheep.” Yonder Mountain has been shaping their craft from more than 17 years, and its newest album, the first album produced by Yonder Mountain itself, shows just how talented these musicians are on the strings. And for another first in the band’s career, they bring to every record on the album all five instruments that defined Bluegrass in the ‘40s: guitar, mandolin, banjo, fiddle and bass. To do this, Yonder Mountain String Band, comprised of Adam Aijala (guitar, vocals), Dave Johnston (banjo, vocals) and Ben Kaufmann (bass, vocals), brought some new, standout talent onboard that includes Allie Kral (violin) and Jacob Jolliff (mandolin). On April 9, the always stellar Yonder Mountain String Band will bring its classic sound, new talent and hopefully new music to Cain’s Ballroom. For more information, visit www.cainsballroom.com.